The most interesting and lucrative product is now available here. We have got new port 6 seater dining kit and in this kit you are going to get a dining table and 6 chairs specially made for this dining table. We have brought a contemporary and modern table with chairs. The table top is made up of the fine piece of wood and its medium density fibreboard and veneer. The table base and chair frame is made up of a solid wood which is of rubber wood. The foams used to make the chair is a good quality of foam which is very comfortable to sit on. The width of the table is 196 cm, 120 cm depth and 74 cm high. If we talk about chairs, those are made up of very strong woods and each chair is 49 cm wide, 55 cm deep and 91 cm high and the sitting height is 47 cm from the ground. The upholstery is made up of fine fabrics of polyester and the finishing has been done by a very fine piece of wood called melamine. In total it weighs 45 kg and it can be ordered very soon and easily on @home. 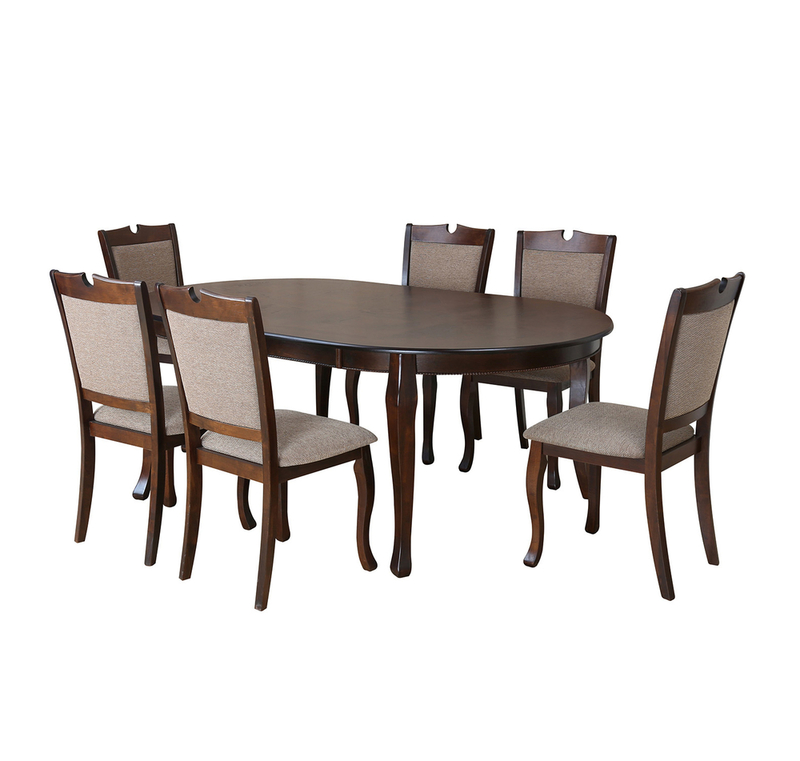 Solid Wood Dining Set with Veneer pattern on Top.Provincial style Chairs with seat & back cushion for maximum comfort.